We pride ourselves with a lot of things at C.Gars Ltd and providing you with highest quality products at the lowest price is one of them, our cigar samplers include a range of cigars to suit all budgets. We put together the cigars which best compliment each other or are perfect to enjoy at any point of the day. This is one of our bestselling cigars samplers and why wouldn't it be? 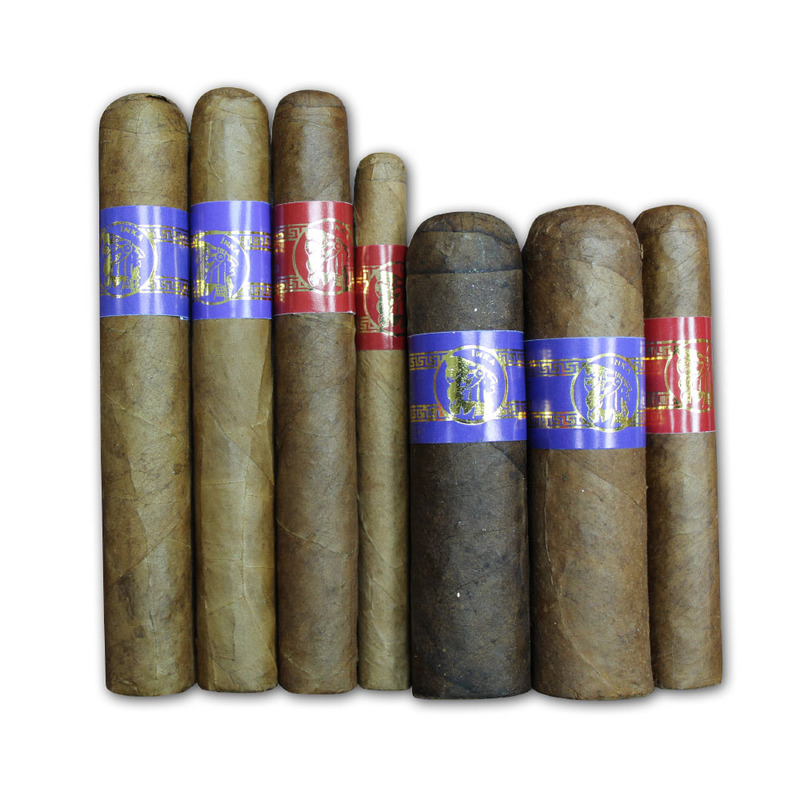 6 Cuban cigars all for under £50! These small cigars are perfect if you are looking for a quick smoke packed full with flavours and excitement - take these on your morning walks or enjoy at the end of the day and you won't be disappointed. Imogen from our Norfolk branch has selected her favourite 5 New World cigars to create this sampler, packed with tons of flavour, complexity and character. The beauty with our mixed box selection samplers is that you are getting a range of different cigars, perfect to enjoy at any point of the day. All together you will be getting 25 cigars, all for under £290. You don't want to miss out on this! Included with the Gentili Emilio humidor are 16 cigars! Giving you the option between Cuban or New World, Natural and Maduro and short or long. There will never be a dull smoke with any of these cigars. Take a step into the magnificent flavours, aromas and complexity these beauties have to offer. From wrapper to filler these cigars are 100% Peruvian. The blends were developed over many months of blind tastings till we felt we were confident to go to production with a first rate cigar in popular sizes at an attractive price. Each cigar is banded with our distinct red or blue Inka Secret blend cigar bands and individually cello wrapped. These Cuban show stoppers have all made it into the top 10 bestselling cigars, each and every one of these sticks has proved to be a fine favourite in the Cuban world. Each of these smokes have been the most popular cigars, chosen by you, ever in the UK. So to make it easier, we have each one all in one place, and you get to save some money!